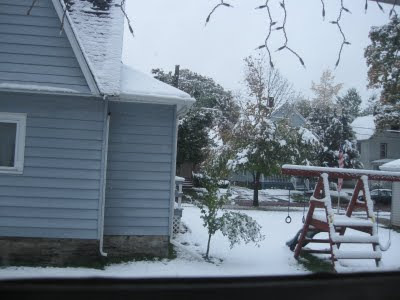 Last Month was the start of the first snow fall and it really last for a day. It started out with rain, mix then at night time after the bowling tournament snow flakes were starting to fall. And it continues all night long. 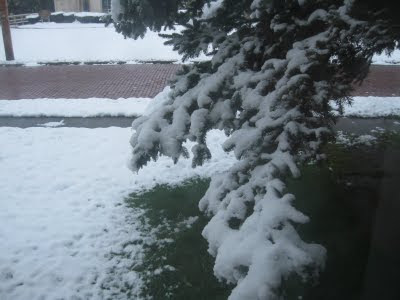 When I got up, these is what I saw outside. Chilling, cold and all white. Try to take a good look on some of the trees, it's still have its leaves and not to mention its not yellow but still green. Lol!!!! Isn't that so fun. Good thing after that day, all the snow were melted because finally the sun came. 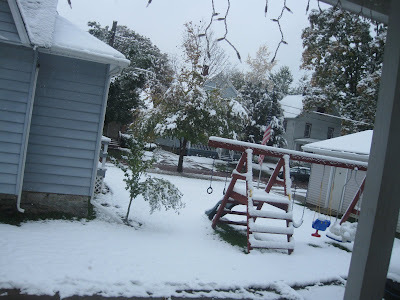 And besides we can't take snowing late October, it should be right after Thanksgiving or hopefully December. Well see about that.